After being nearly marooned on Kiritimati, I found myself a day later in Fiji sitting in the Tabua club awaiting my flight home to the USA. 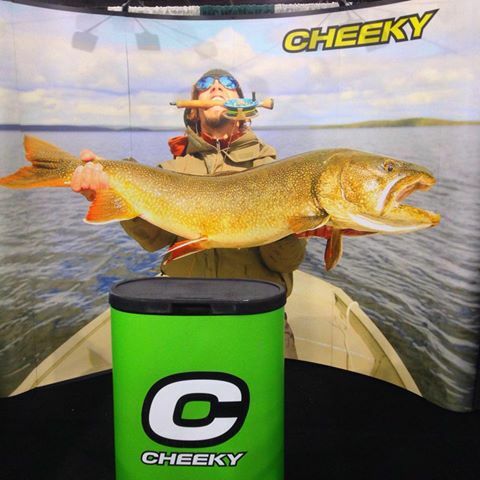 As I gulped a beer and checked my email I found a message from Cheeky Fly Fishing saying that they had chosen my photo (also featured in Fish Alaska magazine 12/14) to use as a backdrop for their booth at multiple trade shows across the states. Considering the amount of weirdness that just occurred I was completely taken aback. So if any of you are hitting up Fly Fishing Shows in Denver, Marlborough, Somerset or at ICAST in Orlando, swing by the Cheeky Fly Fishing booth and meet the boys, peep the gear and don’t miss the backdrop that’s 12′ wide. What another awesome surprise for 2015! TOTHEGILLS!!! This entry was posted on Sunday, January 11th, 2015 at 10:34 pm	and is filed under FISH. You can follow any comments to this entry through the RSS 2.0 feed. You can leave a comment, or trackback from your own site.